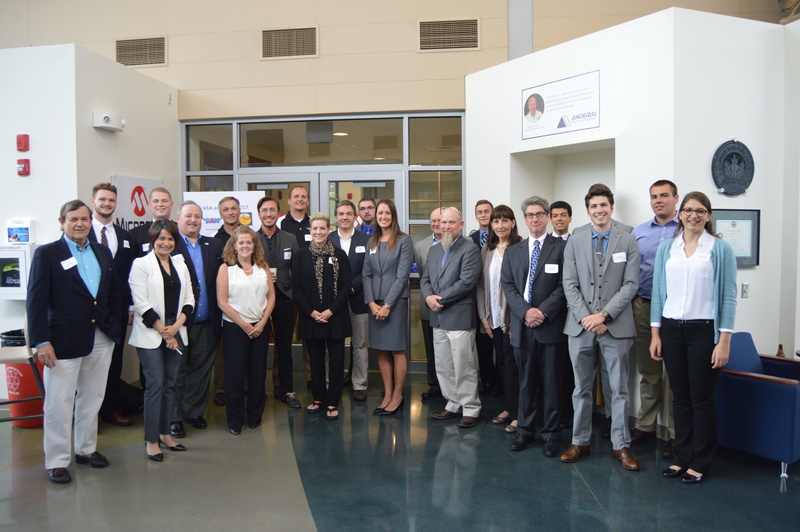 HERMITAGE, PA – The eCenter@LindenPointe hosted the final round of the [Venture Investment Accelerator] VIA eCenter on Tuesday, June 6th. 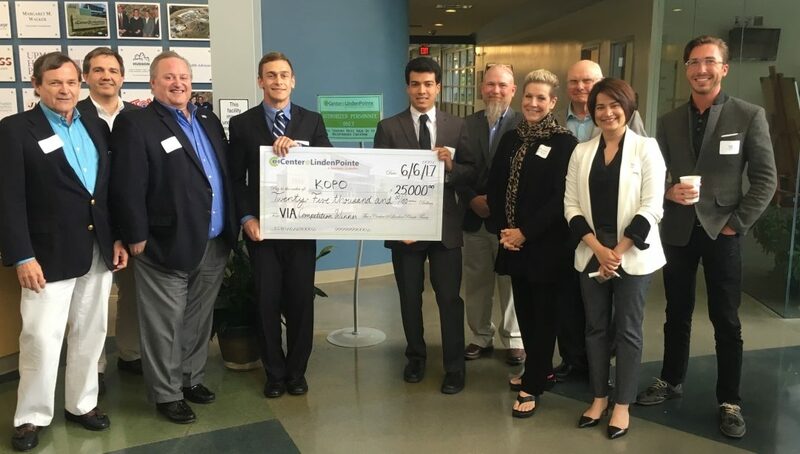 The winning company KOPO will receive $25,000 in seed funding as well as be part of an accelerator program at the eCenter for approximately 20 weeks. KOPO is led by Jesse Thornburg, an MIT Grad with experience around the globe as an electrical, hydroelectric and mechanical engineer is focused on improving living conditions and providing reliable water sources in developing countries. Other team members include: Brandon Ortiz, Head of Research and recent CMU Grad, Jon Brooks, Head of Customer Relations, and Jordan Brooks, Engineer. We look forward to working closely with Jesse and his team to help bring safe, potable and easily transportable water to every corner of the world. Jim Robertson, President, MAR International Consulting Inc.
A total of 26 companies had applied for the first ever competition in Mercer County, an initiative that was geared towards attracting innovative ideas into the region. 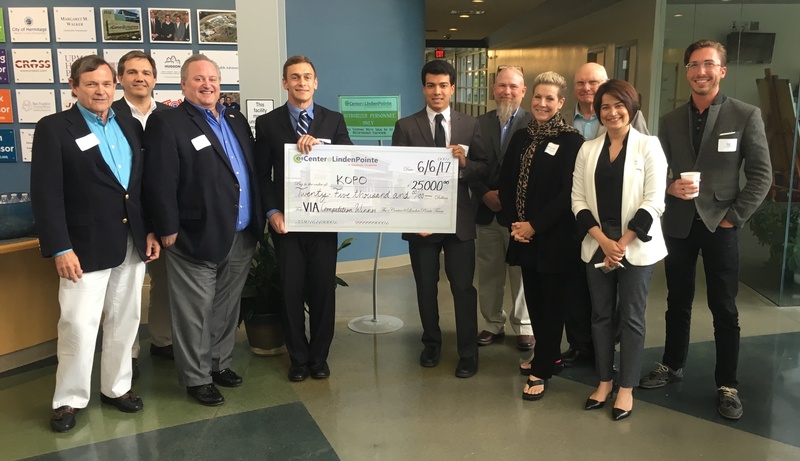 Ben Franklin Technology Partners sponsored the seed fund, which the winning team will receive as grant money while accelerating their idea at the eCenter@LindenPointe. 14 teams were selected in the second round, out of which 6 made it to the finals. Startups from all over the region, as well as across the border, had applied. The quality of the pitches, and additional materials such as a business summary, slide deck, financial projections as well as resumes, impressed the judges, and in the end three companies tied for second place – Baby Arrival Monitor (CEO Kara Wasser), Vavian Energy (CEO Seth Trott), and Cheers! (CEO Andrew Pierson). 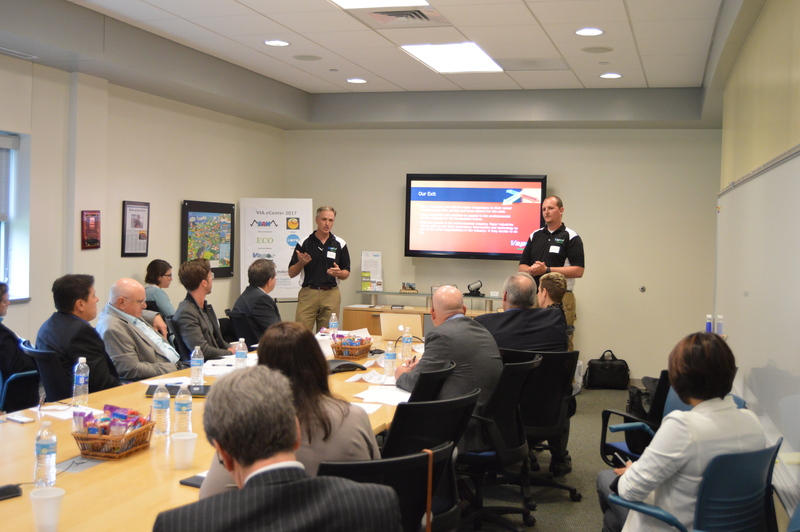 The second-place companies will all be joining our accelerator program here at the eCenter, which will include business coaching, mentor matching, as well as connecting to investors. The day was a true testament to our community – from here to Pittsburgh and Erie to Youngstown – working together to support all our inspiring entrepreneurs!